Edited by: Wilhelm J.G. Möhlig, Bernd Heine. 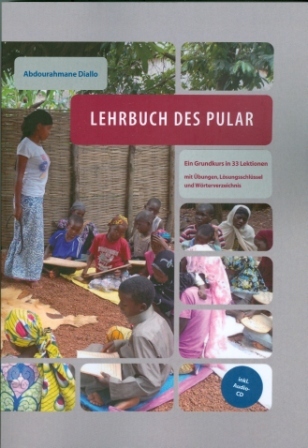 Scholarly teaching materials and exercise books make up this series, covering mainly the great linguae francae in Africa. Bundles of textbooks can be found at the bottom of this page. Author: Moussa Sadio. In collaboration with: Jules Mansaly. Author: Abdourahmane Diallo. With a preface by: Herrmann Jungraithmayr. Compiled by: Simon Wellington Dzablu-Kumah. Author: Ulrike Claudi, Johannes Ayao Ossey. Translated by: Joseph A. McIntyre. Edited by: Joseph A. McIntyre, Mechthild Reh. With an introduction by: Joseph A. McIntyre, Mechthild Reh. With contributions by: Abdalla Uba Adamu, Ado Ahmad Gidan Dabino. Author: Norbert Cyffer. In collaboration with: Shettima Umara Bulakarima, Yaganami Karta. Author: Wilhelm J.G. Möhlig, Bernd Heine. Author: Anbessa Teferra, Grover Hudson. Author: Klaus Wedekind, Charlotte Wedekind, Abuzeinab Musa. Author: Herrmann Jungraithmayr, Wilhelm J.G. Möhlig, Anne Storch. Author: Mohamed Touré. Illustrated by: Melanie Leucht. Author: Catherine Griefenow-Mewis, Tamene Bitima. Author: Robert Botne, Andrew Tilimbe Kulemeka. Author: Kadidia Touré, Mohamed Touré. Edited by: Gudrun Miehe, Wilhelm J.G. Möhlig. In collaboration with: Sauda A. Barwani, Elena Bertoncini-Zúbková †, Ludwig Gerhardt. With contributions by: Thomas Bearth, Elena Bertoncini-Zúbková †, Wolfgang Dodt †, Thomas Geider †, Ludwig Gerhardt [show more…], Werner Graebner, Claus Göbelsmann, Irmtraud Herms, Reinhard Klein-Arendt, Gudrun Miehe, Wilhelm J.G. Möhlig, Ridder Samsom, Walter Schicho. Author: Siegmund Brauner. In collaboration with: Samson Huni. Author: Wilhelm J.G. Möhlig, Bernd Heine. In collaboration with: Hassan Adam. Author: Bernd Heine, Wilhelm J.G. Möhlig. In collaboration with: Hassan Adam. Author: Norbert Cyffer. In collaboration with: Shettima Umara Bulakarima, Yaganami Karta. Illustrated by: Bernd Gimbel. Author: Raimund Kastenholz, Mohamed Touré, Kadidia Touré.